We are a small group of committed parents who have established a Democratic school for the North West. We originally met during Home Ed meet ups during the autumn of 2017 and quickly realised that we had similar interests and aspirations. We are deeply inspired by the work of A.S. Neill and his school Summerhill, John Holt and his Unschooling literature, Daniel Greenberg and the Sudbury Valley School and Peter Gray’s work and inspirational seminar at the Unschooling Conference in 2015. We are delighted to be in a position to provide an alternative to the mainstream model of education in our area. Our mission is to provide a safe environment where young people can engage in self-directed learning and democracy, where children are free to choose their own learning goals and pursue them at their own pace, while participating in a community of self-governance and justice where each member’s voice is equally valued and heard. We believe that there are many approaches to learning and that each child can be supported in their chosen path. We are committed to providing an alternative model of education where children have choice about their learning, freedom to go about their business, and time to explore and create without pressure or constraint. We aim to safeguard an environment where autonomous, self-directed, intrinsically motivated learning can flourish. We TRUST that children’s innate curiosity leads them to learn what they need to know. We believe that everyone is entitled to FREEDOM. At Sligo Sudbury children are free from curricula and timetabled lessons and they have the freedom to explore self-chosen pursuits. With freedom and rights comes RESPONSIBILITY. Through the School Meeting, collective decisions are made and each individual can participate in and take ownership of the school community and works toward attending to the needs of the self whilst conscientiously taking care of the needs of the whole. WHAT DOES A NORMAL SCHOOL DAY LOOK LIKE? Children arrive to school between 8.30am-10.30am and are free to move about the school buildings and outdoor spaces and associate with whom they please. There are no assigned spaces or age groupings and no assigned lesson times. Children may leave the school between 2.30pm-4.30pm. Adult staff members are on site at all times and are there to ensure students’ well being and safety and to perform tasks that are necessary to keep the school running efficiently and legally. They are also available to facilitate learning or discussion, or to support students with accessing the resources they need. Classes in specific subjects are offered when children request them but have no formal or higher status and continue for as long as there is interest. There are multi-purpose spaces which evolve and are purposed and re-purposed over time and with the changing needs and fashions of the community and the wider culture. We have dedicated spaces for Art, Cooking, Science, Gaming/ Technology, Music & Music Production, Carpentry, Libraries, Gardening, Food production etc. The collective decision making tool of Sligo Sudbury School is the School Meeting. The school opened with a small set of laws that the Founders and Staff felt were necessary to ensure the safety of all our members. These laws were adopted at the first School Meeting and established the Law Book of Sligo Sudbury School. School Meetings occur twice a week and follow formal procedures. Attendance at School Meetings is not obligatory but all students are encouraged to attend so that they can learn about, and be in a position to take ownership of, the democratic processes involved. As issues arise the School Meeting makes, amends and deletes laws as necessary. Each member, staff and student has one vote. Committees and clerkships are created as the need arises and have responsibility for specific duties delegated to them by the School Meeting. Special interest Clubs may be established based around the chosen pursuits of the children. These Clubs can work towards acquiring resources, funding or tutors, amongst other things, as they deem necessary. School Law infringements and sanctions, if necessary, are dealt with by the Judicial Committee (JC). The JC listens to all complaints, hears all sides of the story, and then decides on an outcome. In this way everyone gets an opportunity to express their opinion, share their feelings and have their voices heard. There is always at least one adult member on the JC. In January 2017, Maura Duignan, Gayle Nagle & Sara Anderson started to meet on a weekly basis with the explicit objective of starting a democratic school. Our working title was North West Democratic School. We set about the tasks required and discussed extensively, educational philosophy and how a school like this might look, amongst other things. In May of the same year Jenny Deane joined our Founder group and we continued to form our core principles, hunt for a premises and form our legal foundation. We changed our name to Sligo Sudbury School and, opened our doors for our first cohort of members in September 2018. Through homeschooling her 2 sons Maura became more interested in children’s learning and development, and was inspired by the work of John Holt, Peter Gray and others to seek and develop learning environments for children where they have space and freedom to develop with integrity. She is passionate about learning in all its forms, and is particularly interested in the areas of autonomy, health and wellness in education. Maura earned her primary degree in English and Italian, and completed her M.A. in Italian at NUIG. Her educational and professional journey took her to Europe, the U.K. and the U.S. before returning to Ireland in 2008. 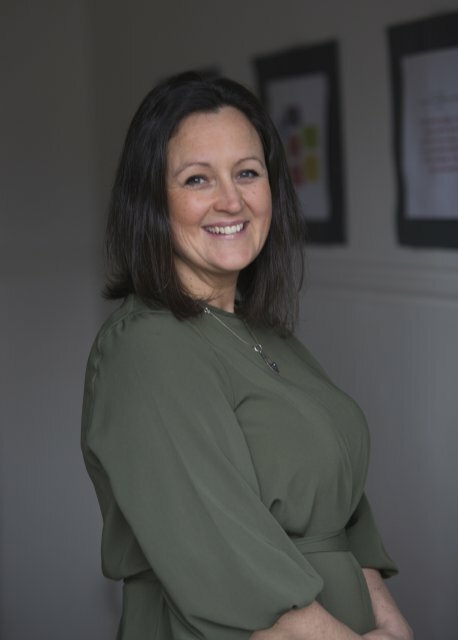 Maura is passionate about integrity in all aspects of life and believes children should be empowered from early on to determine their path, while institutions should ensure that all views and experiences are supported equally. Gayle’s interest in education was sparked at a young age by many inspiring teachers and adults in her life, having had the good fortune to be educated in a school whose ethos was founded on A.S.Neill’s Summerhill. 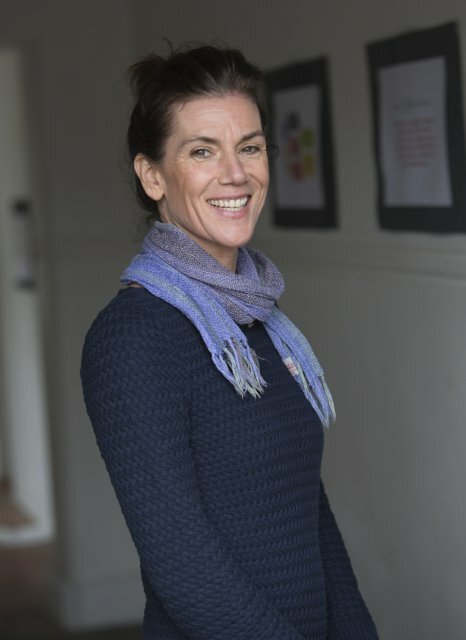 She has had the great privilege of working as a Teacher, Principal and Doula and has been deeply inspired by her three children and how they each approach life and learning so differently. While following a child-led, conscious and respectful parenting philosophy with my two small children, I instantly connected to the Sudbury model which holds true the natural development of the child at it’s heart. Having worked with children for many years delivering environmental education workshops, I feel blessed to be a part of this enriching, democratic environment which empowers children & young people to remain true to their unique, individual spirit and offers them the complete freedom to forge their own path in life. 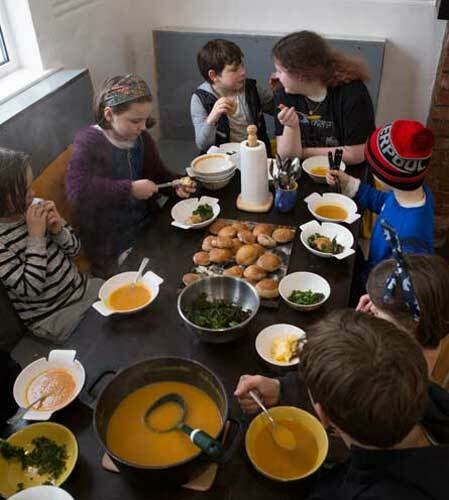 Having self-built our own cob home, I am passionate about natural living, health & nutrition and place a great emphasis on fostering community spirit and support networks for inspiration, a true sense of well-being and a deeper connection to self. Other passions include a sporty, active lifestyle, travelling, music and love meeting people who are truly expressing their unique human spirit. Izzy is originally from Germany. 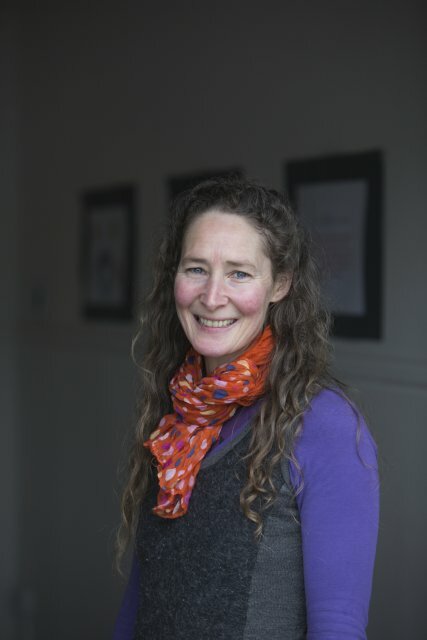 After obtaining her MA in Sociology she decided to reconnect with nature and came to Ireland to study sustainable horticulture and permaculture. 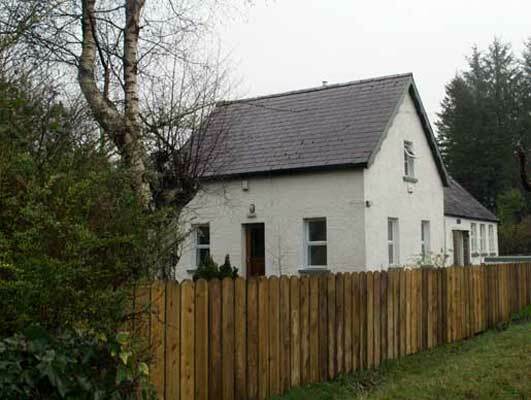 She fell in love with the Irish land and people and has lived on the island since. 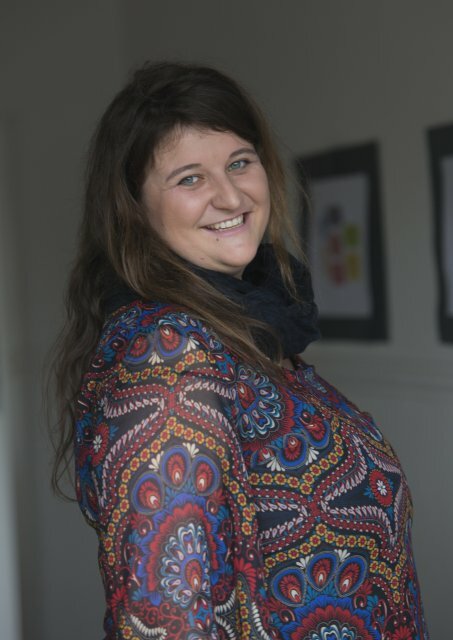 Becoming a mother to 2 boys awakened her interest in child development and education, and working in the Early Years Sector, with a keen interest in the Forest School Philosophy, combining Nature and Child-led learning. She wants to help young people to become autonomous, resilient and effective adults that have the vital skills of effective communication, conflict resolution, self-reflection and critical thinking, which are unfortunately widely neglected in the traditional schooling model of prescribed curricula and assessments. She believes that there is no “one size fits all” model of education, and that self-directed learning is the only way to bring forward the best abilities in human beings. Caroline has a degree in Geology, and loves the outdoors and exploring. She is creative and loves to upcycle objects giving them a second life. invaluable experience with the children in a democratic school, which she can apply in the future. 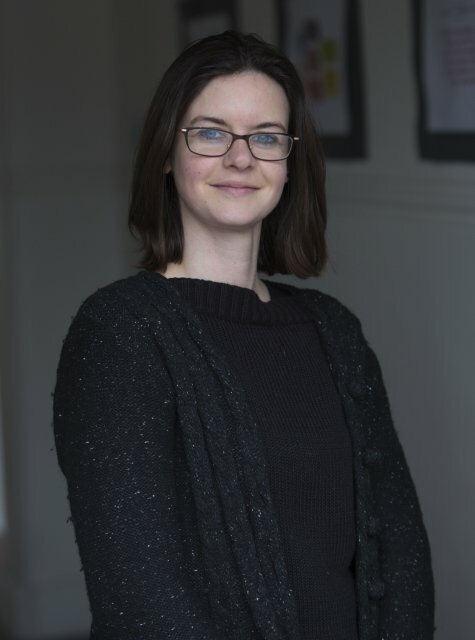 Caroline can see many benefits to the model used in the Sligo Sudbury School, where the children grow from the organic experiences with one another in a self directed learning environment, with compassion and respect. We are interested in hearing from people who feel they would be interested in joining our Staff team. Staff members must be fully committed to the philosophy of the Sudbury model of Education and have read extensively on the subject. Experience in the area of working with young people may be of benefit. A broad range of life skills and experiences along with skills in specific areas would also be a benefit. Adult members who are passionate and who espouse the values that underpin this model of education will be a valuable addition to the community. North West Democratic School is a registered Company Limited by Guarantee (CLG). We have applied to be registered as an Independent School with TUSLA and all students attending Sligo Sudbury School are registered through us with TUSLA. We adhere to protocol as defined by the Health & Safety Act 2005, and we engage a qualified professional to support us with risk assessment procedures, safety checks and training. We comply with relevant elements of the Fire Services Act 1981. Our premises has a fire safety and disabled access compliance certificate as required by building and planning regulations. All staff are Garda Vetted in accordance with the relevant Vetting bureau requirements. We have formulated a Child Safeguarding statement as required by the Child Care Act 2015. All staff are trained in Children’s First Guidelines 2011.